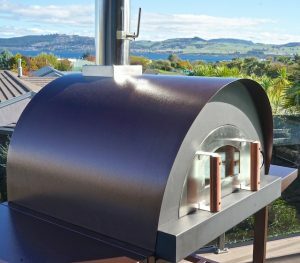 Host a pizza party in your own backyard with your very own wood fired pizza oven My-Mate. It is the perfect asset if you appreciate a real good wood fired pizza. Get your family together and enjoy pizza making with the kids, your Mate will take care of the cooking to perfection. The specially designed internal oven dome is perfect for pizza cooking as it makes the heat reflecting faster to the oven floor, and that is where the heat needs to be for pizza. And since the oven floor is double insulated the heat will remain in the floor to ad that crisp to your pizza and focaccia. Apart from perfect pizzas, you can bake any other dish you like in My-Mate as well. From roast to lasagna, from pulled pork to soup, from curry to bread, you name it. With its short heat up time of only around 20 minutes and its economic use of wood this oven is a pleasure to use. 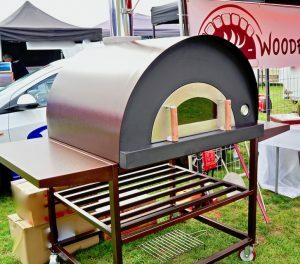 My-Mate wood fired oven is a great addition to your barbecue area, or to your backyard or veranda. With your My-Mate pizza oven entertaining with your friends will be like never before. And the best thing about My-Mate: he cooks perfect family meals, roasts, stews, curries, fish perfectly well too. That’s what mates are for! For product information please click on the photo. And for any further information we are only a phone call away. We would love to discuss any queries with you so please give us a call. And once you are the happy owner of My-Mate we are always happy to advise you about any cooking, recipe, or wood fire questions. Basically, for all you need to become a great wood fired oven chef, we are here to advise you.